For a card-not-present merchant, there isn’t much difference between a debit and credit card transaction. However, there are slight variations between the debit and credit card chargeback process. The most notable difference between a credit and debit card chargeback is derived from the different levels of fraud protection. Cardholder liability is capped at $50. If reported within two days, liability is capped at $50. If reported after two days, liability is capped at $500. If reported after 60 days, the cardholder is liable for the entire transaction amount. Because of the limited fraud protection, debit card holders should be much more diligent about detecting fraud. Therefore, an unauthorized transaction chargeback will probably be issued very quickly if the cardholder used a debit card. It's also worth noting that, although cardholders can request cash back on debit card transactions made at brick-and-mortar retailers, these are not eligible for chargebacks. Therefore, brick-and-mortar retailers have only limited responsibility for debit chargebacks. The credit card chargeback process can be drawn out much longer than a debit card chargeback because the fraud protection is the same on day one as it is on day 30. Another notable difference is the chargeback amount. Because a debit card holder has more liability, the chargeback amount might not be the total transaction amount. There are other differences between the debit and credit card chargeback process. Technically, a credit card is a line of credit. The card network loans money in the amount of the transaction each time a purchase is made. If the cardholder disputes the credit card chargeback, the network realizes there is a good chance the loan won't be paid in full. Therefore, the card networks are highly motivated to resolve these cardholder disputes. The credit card chargeback process usually puts money back into the cardholder's account within one or two business days. The debit card holder might have to wait 10 days for a refund. The debit card holder presumably wants to regain access to those lost funds as soon as possible. Therefore, these cardholders might reach out to the merchant for a refund instead of a chargeback. Other than these slight differences between debit and credit card transactions, the chargeback process is basically the same. Regardless of the payment card type, a chargeback will follow this progression. Check out how complex the credit card chargeback process is! The credit card chargeback process is extremely complex. If you haven’t already, you’ll want to read some of our other blog articles that outline specific steps you’ll need to take to successfully recoup revenue and reduce risk. Ultimately, it doesn’t matter if you receive a debit or credit card chargeback. To the card networks and your acquiring bank, a chargeback is a chargeback. 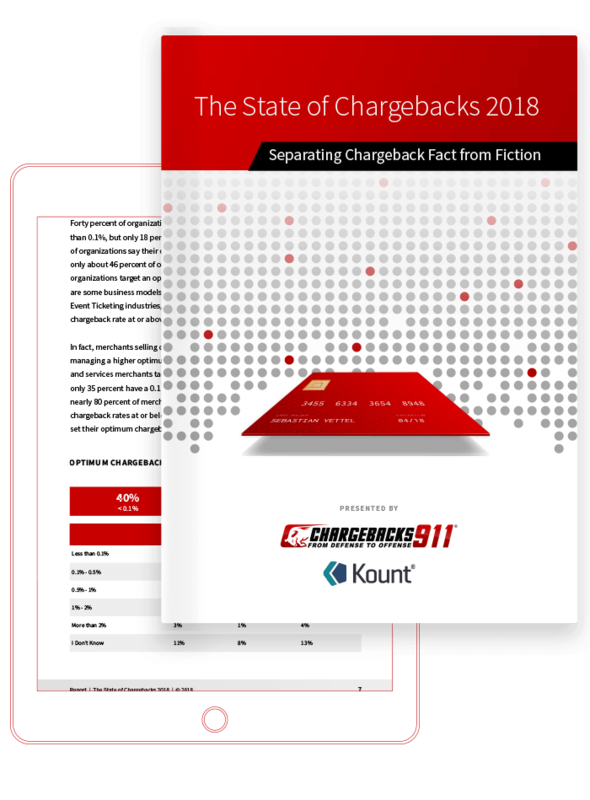 Every chargeback—regardless of the type of payment card—negatively affects your chargeback ratio. Don’t let the credit card chargeback process confuse you. Take the necessary steps to prevent chargebacks and then fight to regain lost profits. We'd be more than happy to help!